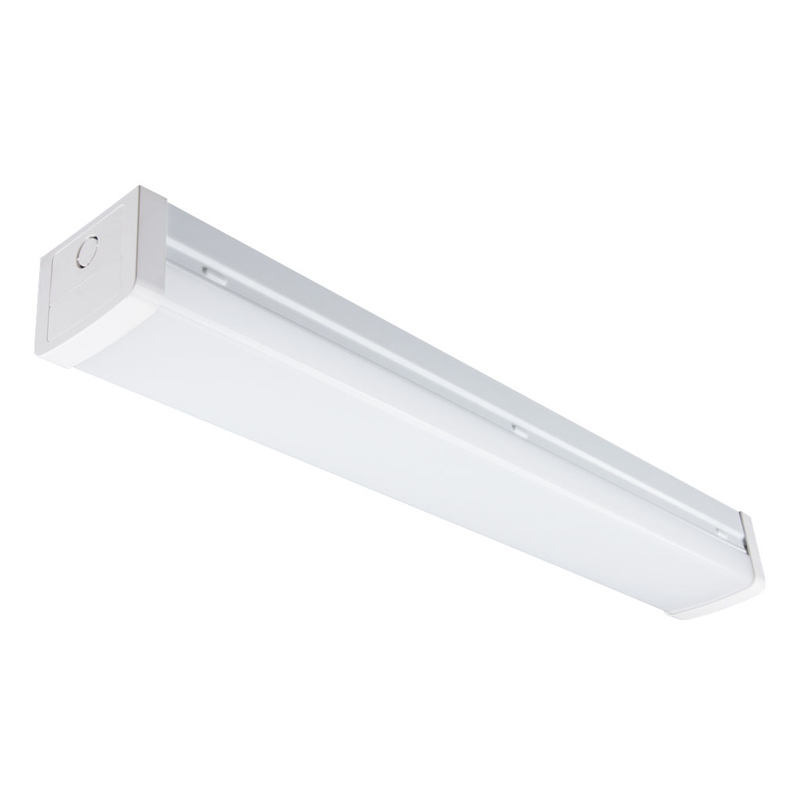 The Bolt 600mm LED Batten is a direct replacement to traditional T8 and T5 Fluorescent battens. Incorporating a “quick fix” solution, designed specifically to allow for ease of installation. The Bolt 600mm LED Batten also features a dual Wattage option 10w or 21w, so if the area is too bright, simply press the switch located on the LED Driver to reduce the output by almost half. Pressed body is constructed from high-quality sheet metal, white powder coated with a high transparency opal polycarbonate diffuser. Also available in 1200mm length. Suitable for domestic applications such as laundries, garage, storerooms. Also commercially for underground carparks.